It’s #BedMonth so we’re talking all things #sleepbetter throughout March. Sleep expert, Lisa Artis of The Sleep Council is here with her sleep tips to help you #sleepbetter. National Bed Month is here so what better time to assess the quality of what we spend a third of our lives doing in bed – sleep! We all sleep, but many of us don’t do it very well. A good night’s rest is essential to a healthy lifestyle – protecting you physically and mentally as well as boosting your quality of living. Unfortunately, many of us struggle to fall asleep, have bad dreams, can’t wake up in the morning and then feel constantly tired. It is rather worrying that the majority of people don’t sleep very well, but fortunately, there are many practical ways to improve your sleeping habits. A clean, peaceful and welcoming bedroom will aid a better night’s sleep. Make sure your room it completely dark and invest in a blackout blind or curtains, or an eye mask might be a cheaper alternative. Your bedroom should not be too hot or too cold, around 16-18° C (60-65° F) is recommended. Why not embrace the hygge style in your bedroom by creating a sanctuary you can relax in. 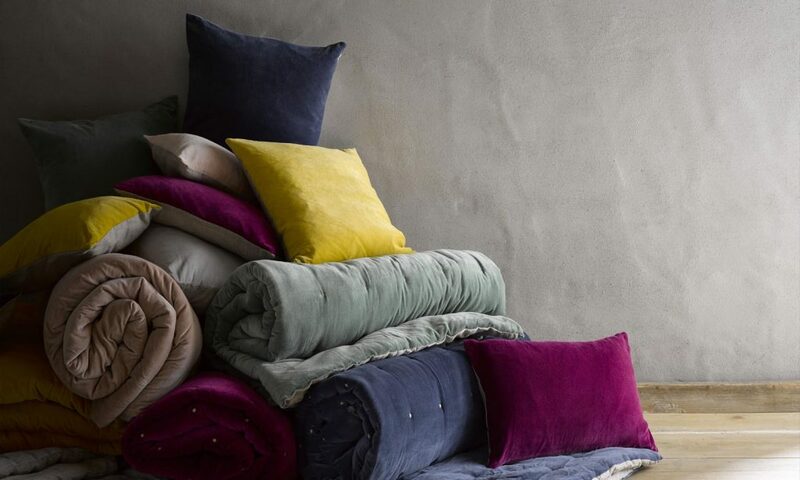 Indulge in quality bed linen, snuggly throws, comfy nightwear, scents such as lavender and germanium which are naturally calming, a good book and some ambient lighting. Do you ever wake up with neck or back ache? When lying in bed, do you feel springs or ridges beneath the surface? Avoid the ‘Seven Year Hitch’ – the point at which existing beds may still look good but are beginning to offer less support than a new one*. What better time than National Bed Month to invest in a better night’s sleep if your bed is seven years old or more? The 21st century lifestyle is typically fast paced, chaotic and jam-packed with technology. From the moment we wake up, we’re continuously being fed content from smart phones, TV, radio and social media feeds. All this non-stop stimulation causes havoc when we’re trying to fall asleep. Switch off your tech a couple of hours before bedtime – that includes your phone! Also try reducing the intensity of artificial light in your home by using dimmer switches or low wattage bulbs. Scientists have found a direct correlation between anxiety and rhythm of sleep. When a person is anxious their heart rate increases, which causes the brain to ‘race’, too. Cognitive Behavioural Therapy (CBT) can help ‘unlearn’ negative thought processes through psychological treatment. Deep breathing and meditation before bed can help slow down your busy brain activity. They say you are what you eat, and when it comes to getting a restful night’s sleep, the food and drink you consume has a drastic effect. The best foods for sleep include milk, cherries, chicken and rice, while fatty meat, curry and alcohol are some of the worst. Some people choose not to eat after 6pm, as late meals can make it difficult to sleep. However, if you are tempted to have something before bed, reach for a milky drink or a soothing herbal tea. Sports and exercise can help you to enjoy a better quality of sleep. Working out effectively can tire your body out gently, promoting a better night’s sleep. But don’t over-do it right before bedtime – wearing yourself out physically is not likely to induce sleepiness. In fact, it can often be counter-productive, leading to additional alertness when trying to sleep. Demanding jobs, long hours and active families all contribute to a hectic lifestyle, and that’s not helped by the intense media that surrounds us. These elements make it very difficult to wind down, so try to relax and insist on some ‘me time’ before going to bed. Have a warm bath, listen to some quiet music or do some yoga – these all help to relax both the mind and body. 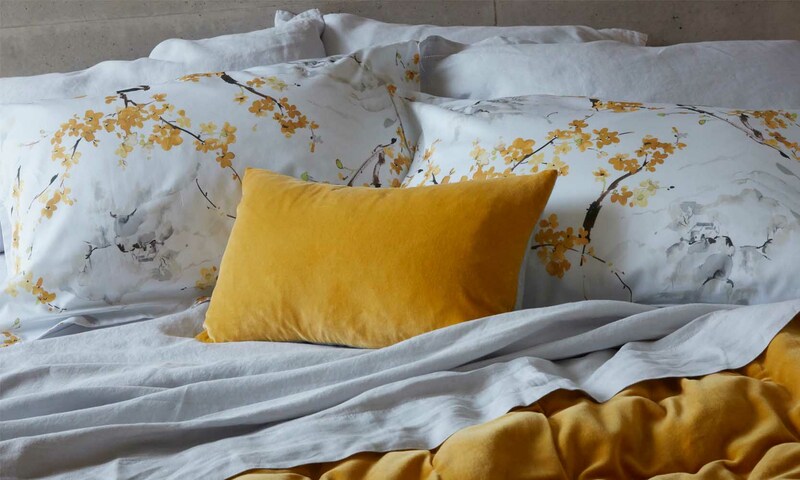 We’re delighted to have a guest post from our friend Franky at Love Audrey on her top tips for designing a bedroom which will help you to drift off to sleep. My husband and I are currently transforming our master bedroom. It’s a slow process; we’re doing all the work ourselves and taking our time over big purchases like built-in bespoke wardrobes and made-to-measure curtains. Throughout the whole makeover, ensuring a good night’s sleep has been at the forefront of our minds. Before we started the project, we spent over 18 months living in complete disarray. After moving house with very little furniture, our clothes were stored in bags and boxes on the floor while our ancient mattress had definitely seen better days. In short, nothing about the space was conducive to rest and relaxation. Aside from hating how it looked, we found the chaos in our bedroom really effected the quality of our sleep. We knew things had to be different in the new room, so we decided to focus on a few key things. Choose a colour scheme that soothes you – Whether you want the room to be light and bright or dark and moody, pick colours that calm you. After much deliberation, we opted for a muted blue-grey on the walls. The clever paint somehow manages to look light and airy during the day while still feeling seriously cosy at night. Make sure you buy a good mattress – Life’s too short to sleep in an uncomfortable bed, so do your research and find a mattress you love. 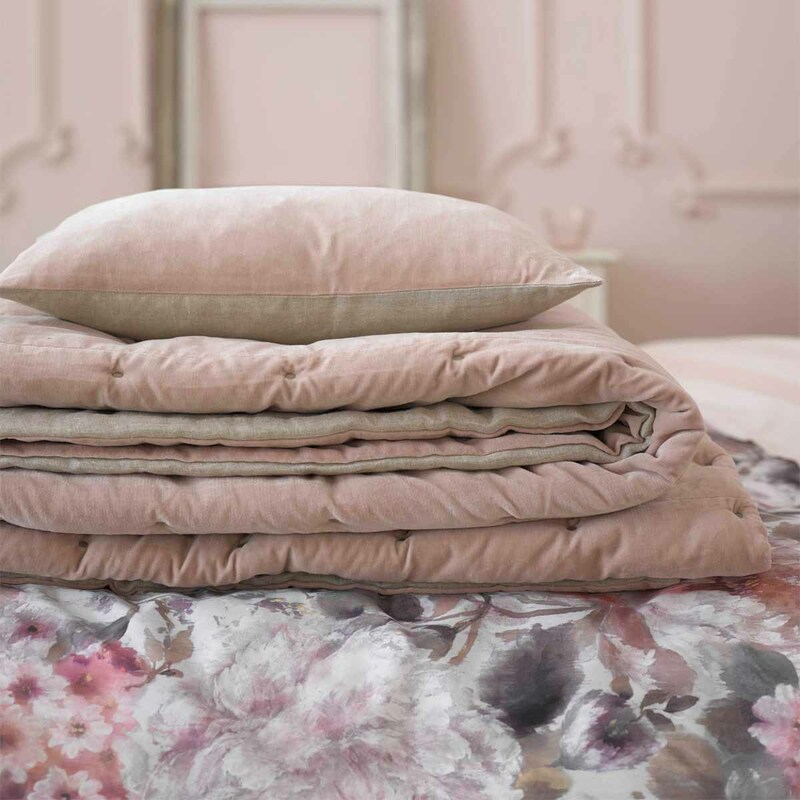 Invest in the best bed linen you can afford – Partnering with Christy over the last 12 months has been a revelation. Where I once thought high-quality bedding was simply ‘nice to have’, I now consider it essential. The high thread count and 100% Egyptian cotton really does make all the difference. 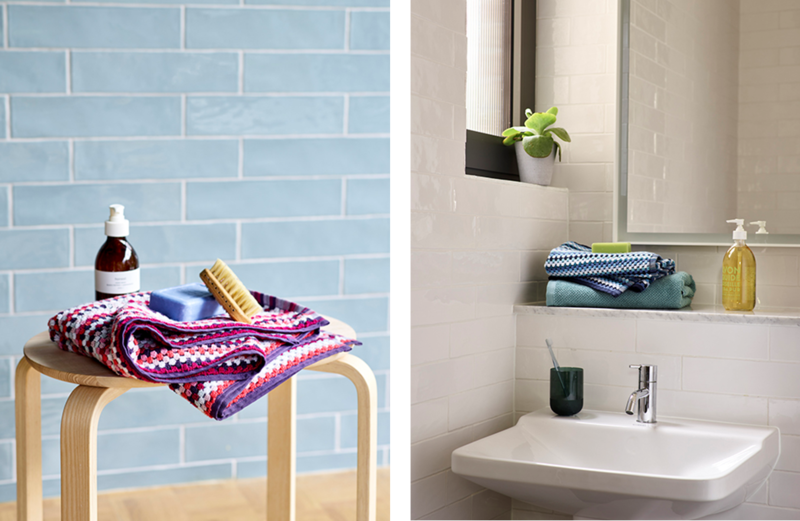 Use accessories to add warmth and texture – I want our bedroom to feel cosy and inviting. Combining different textures with warm wood and brass details seems to have the desired effect. 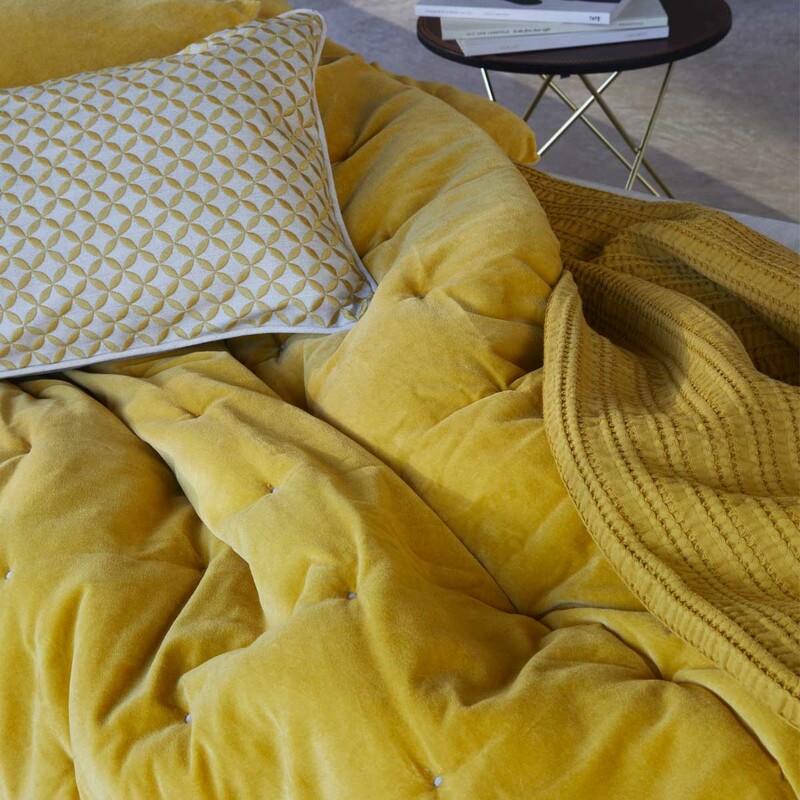 We opted for a stylish upholstered bed, the gorgeous Loops Throw and Sham, a silky velvet Horizon Cushion and eventually we’ll add a super soft rug underfoot. Keep everything in its place – Storage is still a work in progress for us, but purchasing a new chest of drawers and a temporary wardrobe showed us just how important it is. Keeping clutter to a minimum makes it much easier to sleep soundly at night. You can read more about the inspiration behind our master bedroom here and follow along with other home decor projects on Instagram. What ever happened to the lost art of napping? Last week (14th March) was National Napping Day, so we’re celebrating the humble nap on the Christy blog today. Some cultures build their day around strategically timed naps, known as a siesta in Spain and a riposo in Italy. If we’ve achieved everything on the to-do list, the weather is keeping us inside or if we’ve just had a disturbed night’s sleep, there’s nothing better than a lovely afternoon nap. Drink a cup of coffee (This stage is optional, though studies have indicated that a cup of coffee before a nap heightens the impact of caffeine). Set your alarm for 20 – 30 minutes time. Wake and go on with the day with renewed energy and vigour. The term ‘power nap’ was coined by James Maas, a social psychologist at Cornell University and author of Power Sleep. Failing to achieve a full sleep cycle results in sleep inertia, where the subject wakes up feeling groggy and not well rested. In Serbia and Slovenia, there is an unspoken rule whereby people don’t call each other from the hours of 2pm – 5pm because it is assumed that the household is resting. Spain held a National Siesta Championship in 2010 with a top prize of €1000, to promote the art of napping. So what do you think? Is the power nap your new secret weapon or are you in need of more convincing? Let us know your experience of the power nap on Twitter or Facebook. Creating the perfect sleep environment is a personal practice and since it forms part of our nightly routine, we’re taking a look at the science involved in creating the perfect sleeping conditions. The environment in your bedroom is crucial to the amount and quality of sleep that you get. There are many ways that you can alter your sleeping environment to increase the quality of your sleep. For example, not watching TV and not using screens for an hour before sleeping could help you to drift off. Studies have shown that the blue light from screens can prevent melatonin production in your body, meaning that your body doesn’t start producing the important hormone responsible for making you feel sleepy before bed. Ensuring that there is soft lighting in your room and not interacting with a screen for at least an hour before going to sleep means that you can give melatonin the chance to work naturally. In the morning, open the curtains or blind early in order to wake up properly, as this will stop the body’s production of melatonin. A study by Travelodge into the use of paint colours in bedrooms and the subsequent effect on sleep yielded some very interesting results. They found that the participants that slept for the longest had blue walls, a colour associated with feelings of calm. Warm colours, such as yellow, also proved to have a similar effect. Interestingly, those with purple walls slept for the shortest amount of time, as it is thought that the colour encourages creativity and stimulates the mind. We’ve heard that it’s better to sleep in a cold room, but a study from Dr Eus van Someran and colleagues from the Netherlands Institute of Neuroscience found that there is a delicate balance between hot and cold. Being cool when going to bed helps the body to realise that it’s time to go to sleep, however, if you’re cold enough to be shivering then you won’t be sleeping deeply enough. We recommend sleeping in clean cotton pyjamas and layering duvets, sheets and throws so that you can adjust your temperature should you need to. Creating the perfect sleeping conditions also involves the scents you can smell and the sounds you can hear. Essential oil diffusers are a good way of winding down after a long day, and when used before bed can help to ease stress and tension. 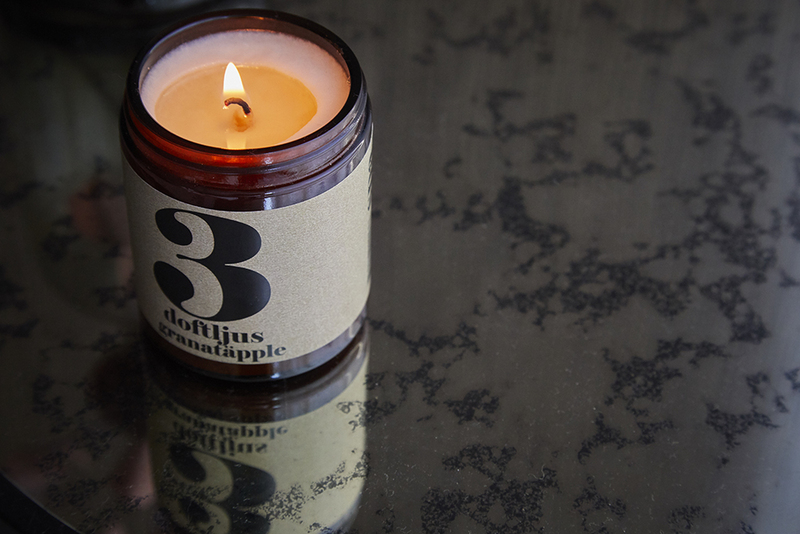 We love one or a combination of Lavender, Chamomile, Bergamot, Jasmine, Rose and Sandalwood. There are many different factors that could affect your quality of sleep, including the effects of age, psychological stressors and stimulants such as caffeine. For more information on sleep hygiene, head to Web MD. What are your most effective sleep tips? Tell us on Facebook or Twitter using #Snoozology to join the conversation. Most tips for getting a good night’s sleep focus on what you should do just before or when in bed. But what you do in the day, when wide awake, is just as important in ensuring you get a good night’s sleep. It’s all about the melatonin. What’s that you might ask? Well melatonin is a hormone, produced mostly by the pineal gland in the brain, and it plays a very important part in regulating a person’s circadian rhythm, or sleep pattern. Too little melatonin makes falling asleep harder – you know the feeling when you are actually tired but somehow feel wide awake? Chances are it’s down to a shortage of melatonin. So it’s important to know about melatonin production, and what you can do to keep levels up. Melatonin is produced when daylight fades with the setting of the sun (no wonder it is sometimes referred to as ‘the Dracula hormone’!). The change in light signals the pineal gland to start producing the hormone and releasing it into the bloodstream. With melatonin now being delivered to all parts of the body, you feel gradually less alert and sleepy. With the sunrise, melatonin production is ‘switched off’ again and its supplies run low, making you feel awake and alert. In order to keep melatonin levels high, when they should be high (and low when they should be low), it is vital that a person gets enough daylight in the daytime, and keeps bright light to a minimum in the late evening. During the day, make sure you get enough exposure to daylight. If you work in an artificially lit office, see if you can situate your desk by a window. Take a walk outdoors at lunchtime, or whenever you can during the day. Reduce exposure to bright light in the evening, especially after 9pm, when you need to be producing melatonin in order to promote good sleep. Blue light, such as that emitted by computer screens, stops the brain producing melatonin. If you simply cannot tear yourself away from the screen in the evening, you can install a programme (called lux) that adapts your screen according to the time of day – brighter in the day, dimmer in the evening – while still maintaining readability. Of course there are a lot more factors that affect a good night’s sleep, but if you follow the tips above to regulate your body clock, you have a solid foundation for getting plenty of good quality shut-eye. The body just can’t ignore the go-to-sleep signals being sent when the melatonin in flowing, so make sure you get enough of it – at the right time – and soon you’ll be sleeping like a baby. In Christy bedding I hope! We’re kicking off National Bed Month with a guest post from our friend Tom at Flourish and Be on tips for helping you get a perfect night’s sleep. It’s a firm belief of mine that our ability to live mindfully has a lot to do with our sleeping habits. A night of plentiful, good quality sleep can set us up for a present, positive day, a day in which we’re able to focus on living each and every moment with an attentive, happy attitude. On the flip side, a night of bad quality or little sleep can leave us feeling groggy and sluggish, cursed to spend the day in a zombified state, constantly wishing we were back under the covers. In order to wake up refreshed and ready to face the day as a fully awake, non-grumpy human being, we need to make sure that we’re creating a good environment for ourselves to fall asleep in; here are my tips for preparing yourself and your surroundings for a perfect night of sleep. 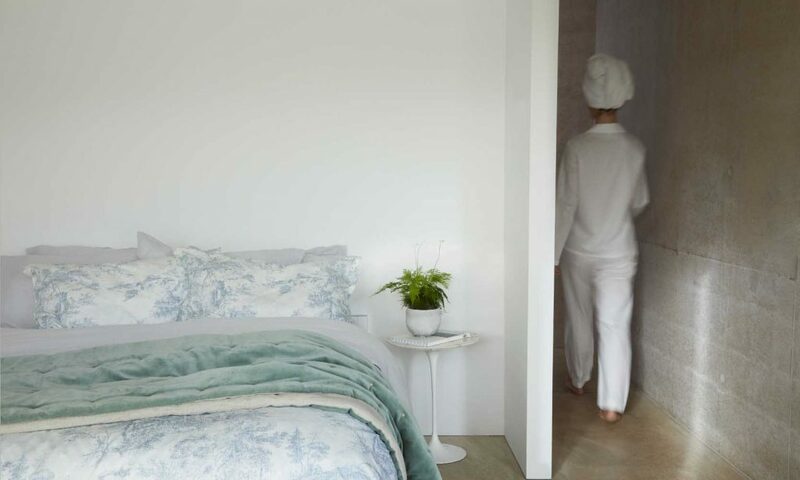 Spend a few minutes each night tidying your bedroom – Tidy surroundings can go a long way in facilitating a tidier mind, something that’s especially important when we’re heading off to sleep. Unnecessary clutter can act as a stressor, it symbolises yet another task that needs to be completed and keeps your mind in an anxious state, so it’s a good idea to tidy away your bits and pieces at the end of the day, or even remove those things from your bedroom altogether if they don’t really need to be there. When I’m feeling especially lazy, I’ve taken to setting a five minute timer just before I start my bedtime preparations, getting as much tidying up done as I can within that short space of time. As I’m not a particularly messy person this usually gives me plenty of time to clear any surfaces and get things back to where they need to be. I’m then left with a clutter-free, calm bedroom to fall asleep in. Plus, it’s so much nicer (let alone more mindful) to wake up in tidy surroundings rather than a room filled with the mess of the day before. Turn your bedroom into a no-tech zone – We all know how toxic tech can be when it comes to sleep, not only acting as a distraction from shutting our eyes and getting our ideal number of hours but also literally messing with our brain chemistry; the blue light emitted by our screens can trick the brain into thinking it’s daytime, telling it to turn off the production of melatonin, a hormone that’s key in winding down the body and preparing it to sleep. Turning your bedroom into a tech-free area, or at least keeping your laptop/phone use to a minimum, will go along way in ensuring that melatonin is produced as it naturally should be, in turn bringing on a restful night of sleep and a refreshed, ready to go feeling the next morning. Instead of diving head first into a Netflix binge or endlessly scrolling through social media next time you head to bed, try to get into the habit of reading a book, starting a journal or partaking in another no-tech, relaxing pastime.